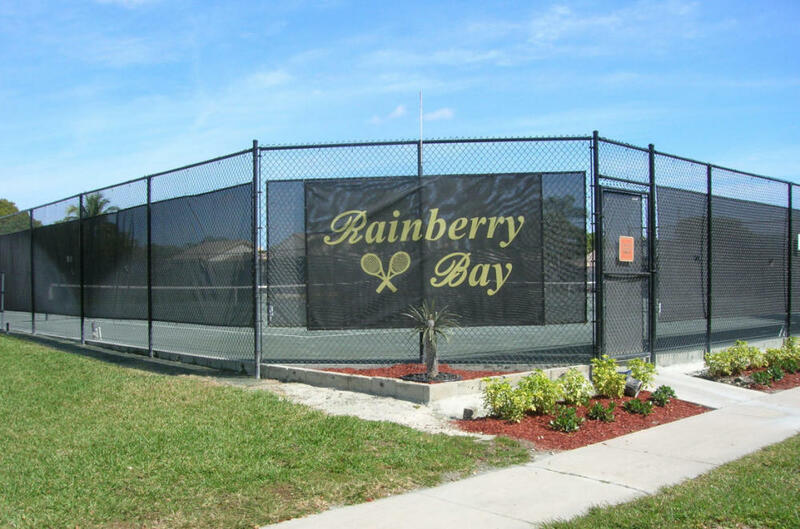 One of the most popular in-house Tennis Club events is the “Rainberry Bay Style Davis Cup.” With the guidance of the Tennis Director, Christie Cherry, players at all levels organize themselves in women’s doubles, men’s doubles and mixed doubles teams and represent a country assigned to them. The tournament ends with an international lunch. The food is provided by the players and represents a popular dish of the country they represented. Press here for pictures of our Davis Cup tournament this year. 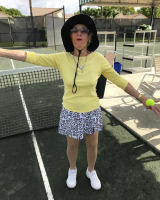 ​The round robins at holiday times are always lots of fun as well as tennis games organized by volunteers for anyone who wishes to play. The season ends up with a three-day Rainberry Bay Championship. This event is for those who wish to choose their own tennis partner. 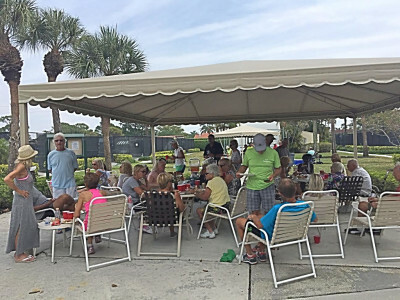 Though the Tennis Club is not a social club, it organizes and sponsors activities for the enjoyment of its members and any resident of the community who wishes to join in the fun. From picnics out of the community to gala dinner dances, from Bingo nights to boat rides, the members and non members alike have the opportunity to get to know each other in a relaxed and friendly atmosphere. The Club’s affairs are handled by an elected five member board. Meetings are held every first Saturday of the month starting in October and ending in May. 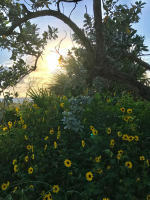 Often a guest speaker is invited to talk on a topic of interest to all members and refreshments are always available. 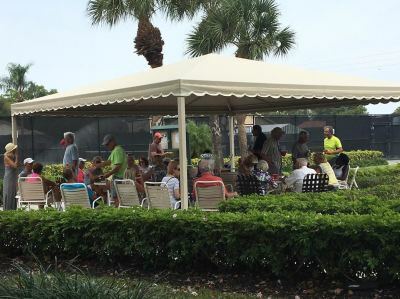 During the summer season, the Tennis Club together with our Tennis Director and Tennis Directors from other communities plan activities for the enjoyment of those players who spend time in Florida all year around. 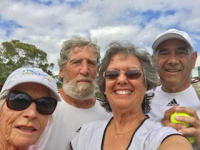 Whether one is an avid every day tennis player or just a once in a while player the Rainberry Bay Tennis Club has a lot to offer.